At Dumas Paris, synthetic is also luxurious. It is synonymous with extreme quality and longevity. You will have the sensation of sleeping on a natural pillow. 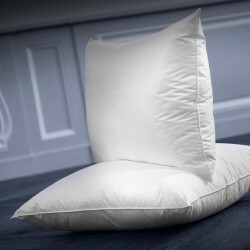 Our collections of luxury synthetic pillows are packed with different fibers such as silicone hollow fiber, microfiber and rhombo-fill, renowned for their hypoallergenic quality. Soft, medium or firm comforts: the type of swelling that is best suited for your absolute comfort. 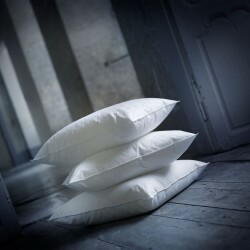 All these linings are surrounded by a 100% satin cotton envelope for a very great softness. 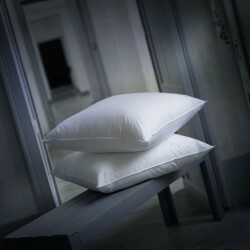 And, because a pillow must be totally adapted to the sleeper's morphology and sleeping habits, let us guide you. 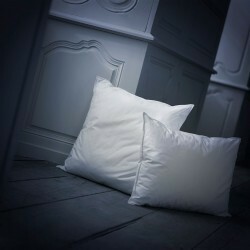 Choose with few clicks a pillow made only for you in the menu "Your Ideal Pillow", or indicate in the search engine the name of the hotel where you slept. For any advice, contact us !